Waiting on Wednesday is a weekly event hosted by Breaking the Spine so we can showcase upcoming books we're eagerly anticipating. The book I can't wait for is The Lost Prince by Julie Kagawa, which is coming out on October 23, 2012. Don't look at Them. Never let Them know you can see Them. That is Ethan Chase's unbreakable rule. Until the fey he avoids at all costs—including his reputation—begin to disappear, and Ethan is attacked. Now he must change the rules to protect his family. To save a girl he never thought he'd dare to fall for. Definitely waiting for this too! I got an ARC for this book and I absolutely loved it! Great pick! got an e-arc from netalley...i read it and i loved it.....The Lost Prince is totally amazing. Love Julie Kagawa's books! Can't wait for this one. Great pick. I have all 4 books in the Iron Fey series, but I haven't read them yet. I really need to read them soon. This book sounds very interesting. Thanks for sharing. 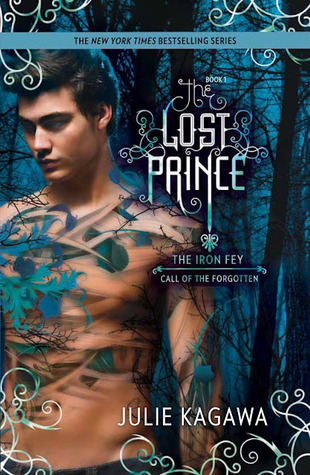 I need to read Iron Fey, pronto!